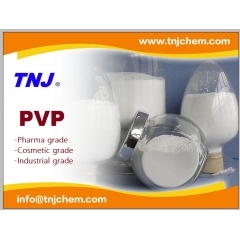 PVP K15, PVP K17, PVP K25, PVP K30, PVP K90 exists in white powder or aqueous solution. PVP readily dissolves in water, alcohol, amine and halohydrocarbon, but is not dissolved in acetone and aether etc.. It has good solubility, biocompatibility, and physiologically inert, film-forming character, colloid protect ability and compound ability to many organic or inorganic compounds. It is also steady to acid, salt and heat, so it is widely used. Glucuronolactone D-Glucurono-3,6-Lactone (CAS 32449-92-6 ) is a white crystal or crystalline powder, soluble in water, alcohol, antistat, methanol and acetone, slightly soluble in ether and chloroform. Glucuronolactone can be used as Nutritional supplements, healthcare supplements, health food additives, pharmaceutical raw material. 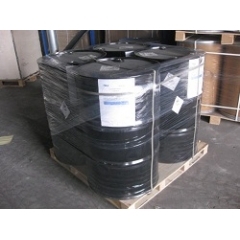 Cyromazine CAS 66215-27-8 is a triazine insect growth regulator used as an insecticide and an acaricide. It is a cyclopropyl derivative of melamine. Cyromazine works by affecting the nervous system of the immature larval stages of certain insects. In veterinary medicine, cyromazine is used as an ectoparasiticide. 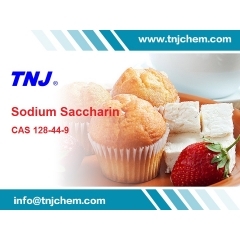 Saccharin sodium CAS 128-44-9 is White crystalline powder, odourless, slightly fragrant, has strong sweet taste, slightly bitter taste, sweetness of sucrose,can be used in food industry for general cold drinks, beverages, jellies, popsicles, pickles, preserves, pastries, fruits, protein and sugar. 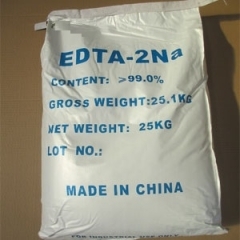 EDTA-2Na CAS 6381-92-6 is white powder with two crystal water, easy to lose crystal water when dried and easy to soluble in water, but hard to soluble in organic solvents like alcohol or ethyl ether. EDTA 2Na is chelating agent. Icaridin CAS 119515-38-7 is an insect repellent. It has broad efficacy against various insects and is almost colorless and odorless. Icaridin plays an important role as an effective insect repellent in preventing and controlling malaria, yellow fever, west Nile virus(Lyme disease),forest encephalities, which is certified by WHO. 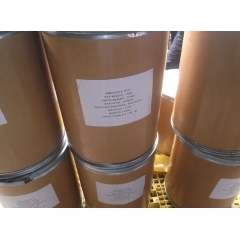 Cumene hydroperoxide CAS 80-15-9 is colorless transparent liquid, an organic peroxide; Synthetic organic chemistry. Cumene hydroperoxide is an intermediate in the cumene process for developing phenol and acetone from benzene and propene. Imidazole CAS 288-32-4 is an organic compound with the formula (CH)2N(NH)CH. It is a white or colorless solid that is soluble in water,used as intermediate in medical industry to produce clotrimazole, miconazole, ketoconazole etc.